Our specialization lies in the supplying and exporting of a wide range of Heavy Duty Lathe machines that is reckoned for its simple setup, good tolerances, high tensile strength and durability. 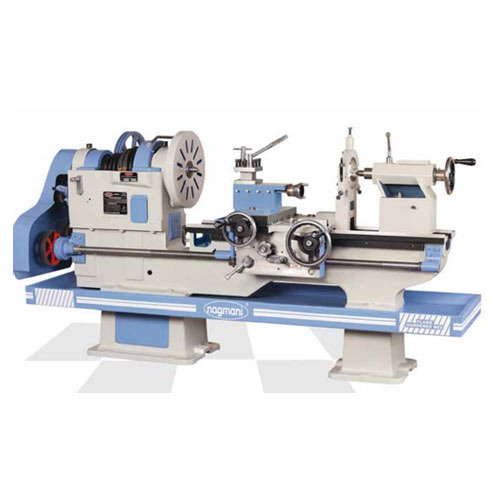 Available in standard and customized configurations, these Heavy Duty Lathe machines are offered to our clients as per their specification. Our strong presence for over 3 decades in the market has etched us an unshakable position and made us a reckoned name in across the globe. With rigorous market research and staunch commitment towards quality, we are able to offer a quality assured range of Wood Working Machines, Workshop Machines, Sheet Metal Machines, Automobile Machines, Construction Machines, Paper Conversion Machines and Special Purpose Machines. These machines are based on latest technology and are available for our clients in standard and customized specifications. Further, our name is vouched by our clients for our well organized distribution network that is assisted through our tie-ups with leading C&F and shipping agents all over the globe. Our distribution network has helped us in ascertaining timeliness and safety in our delivery procedures and has made us develop a wide client base across the globe. Our clients are based in various countries including Dubai, Sri Lanka, Indonesia, Malaysia, Maldives and Middle East Countries.